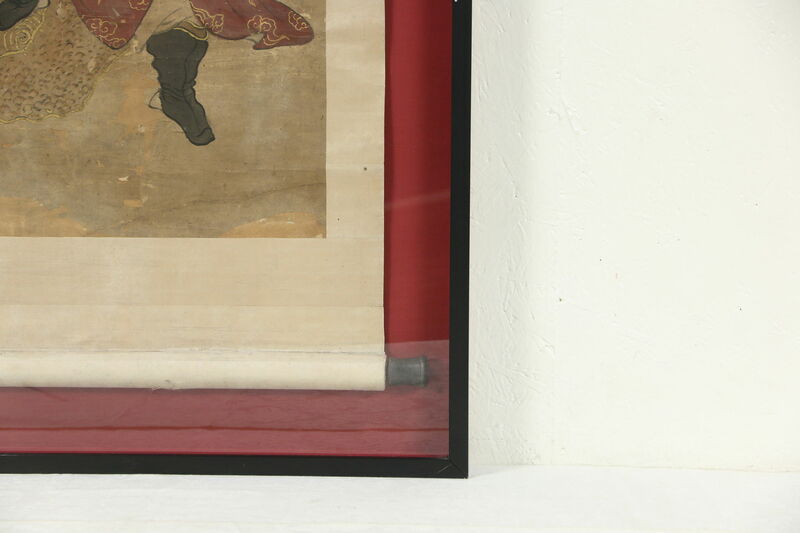 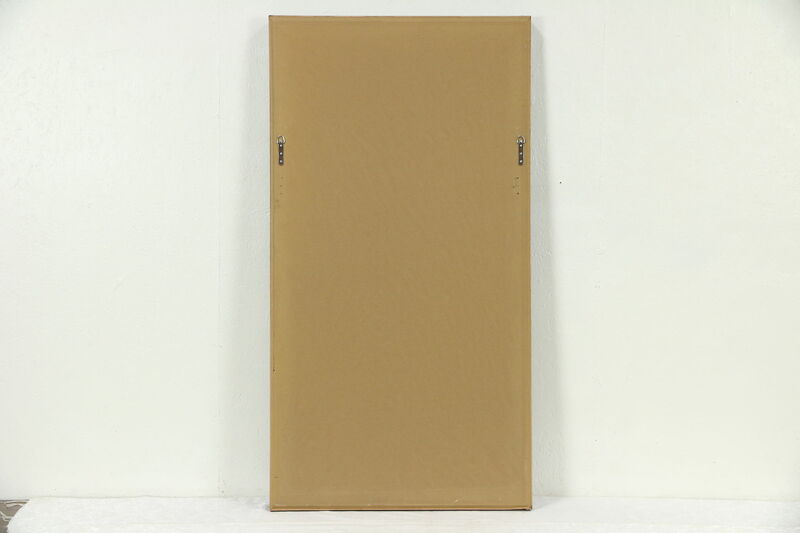 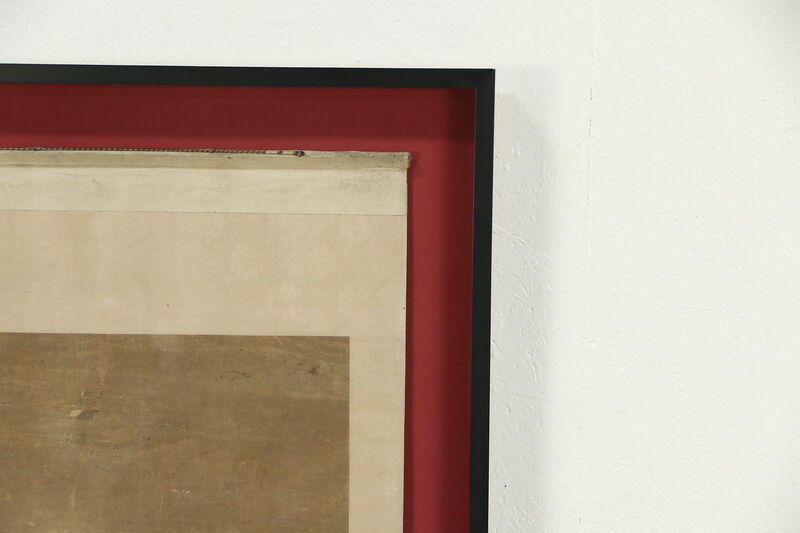 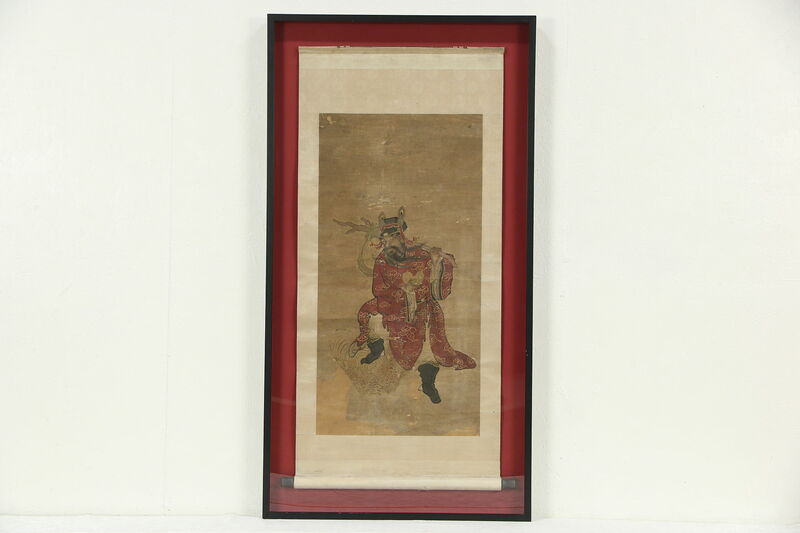 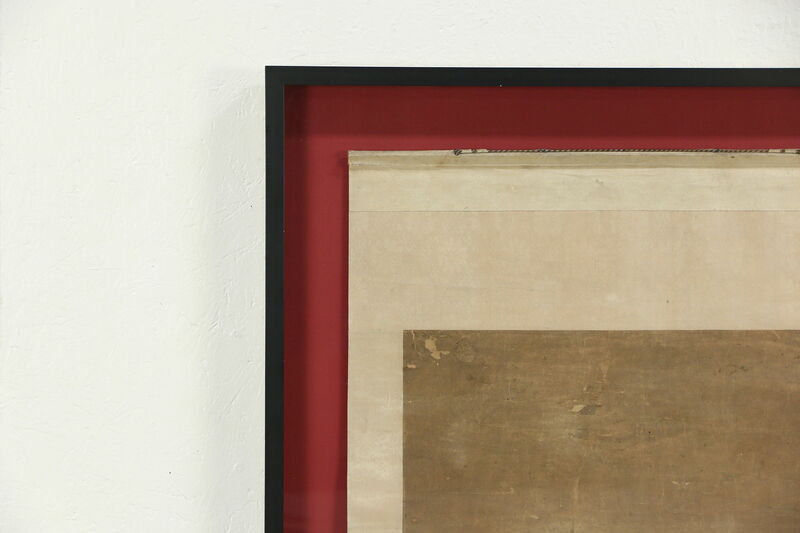 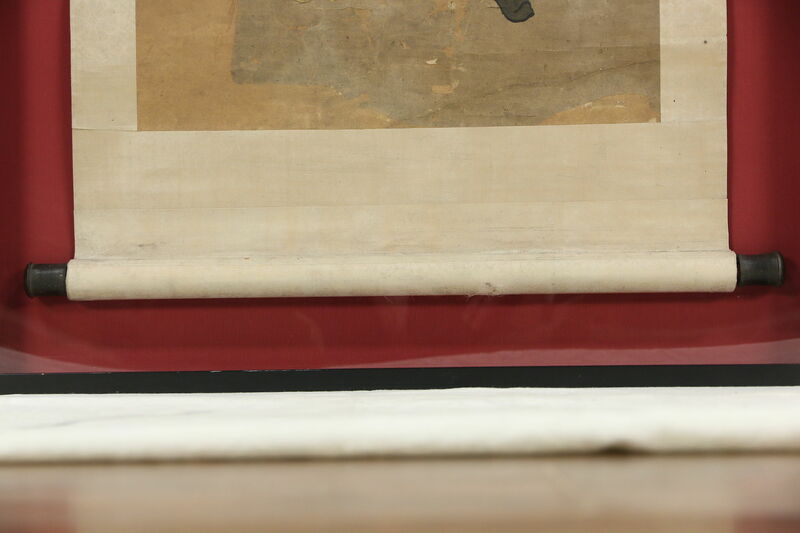 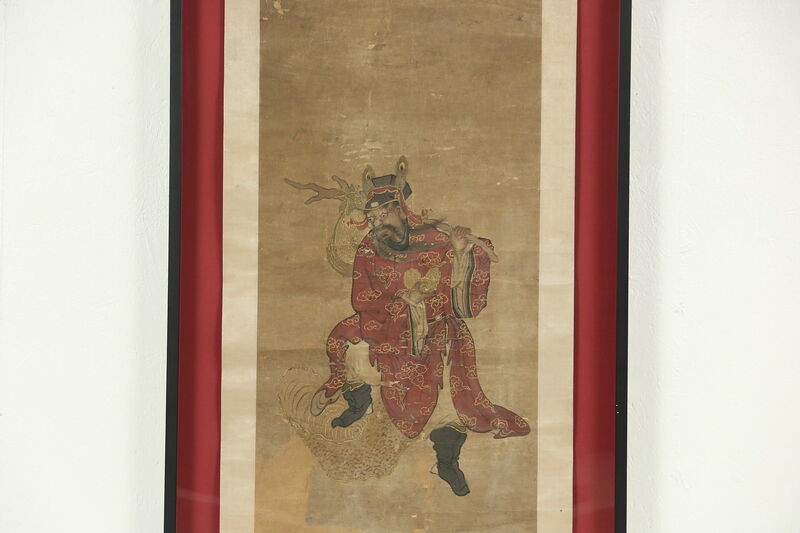 An original antique Chinese painting on paper has been mounted on a silk scroll and has a modern shadow box frame. 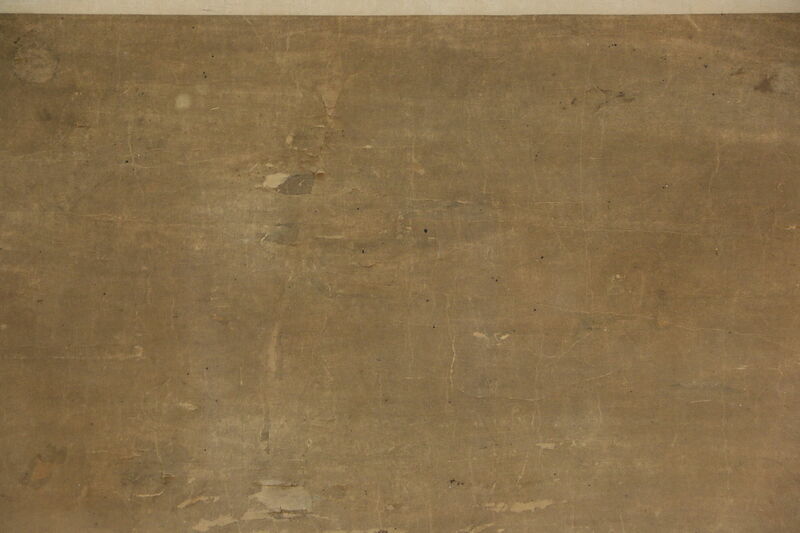 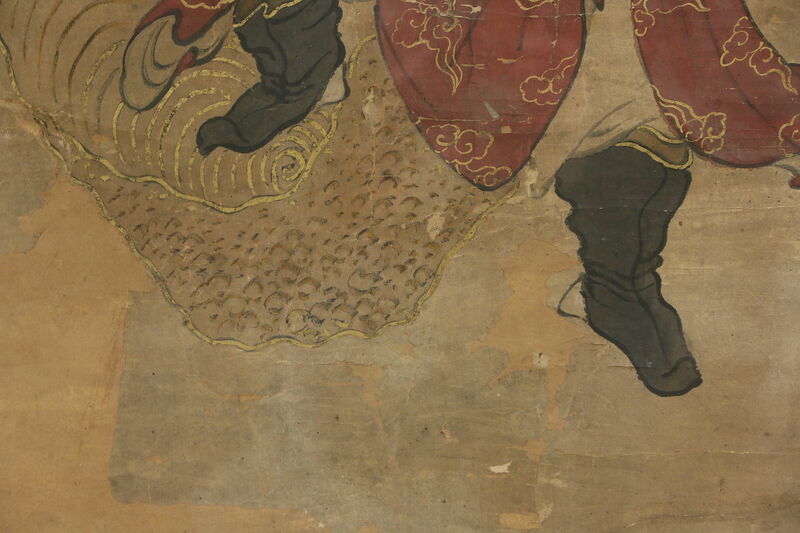 There is significant wear to this work of art, which has been rolled on the wooden bar at the bottom. 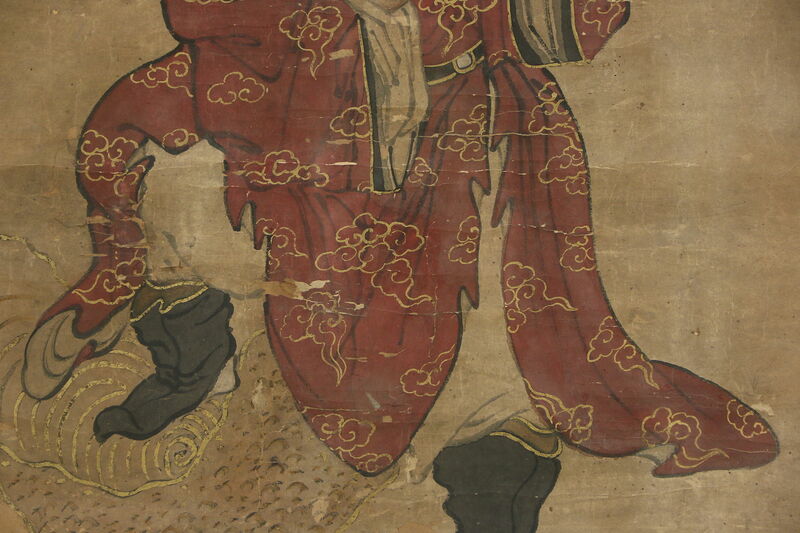 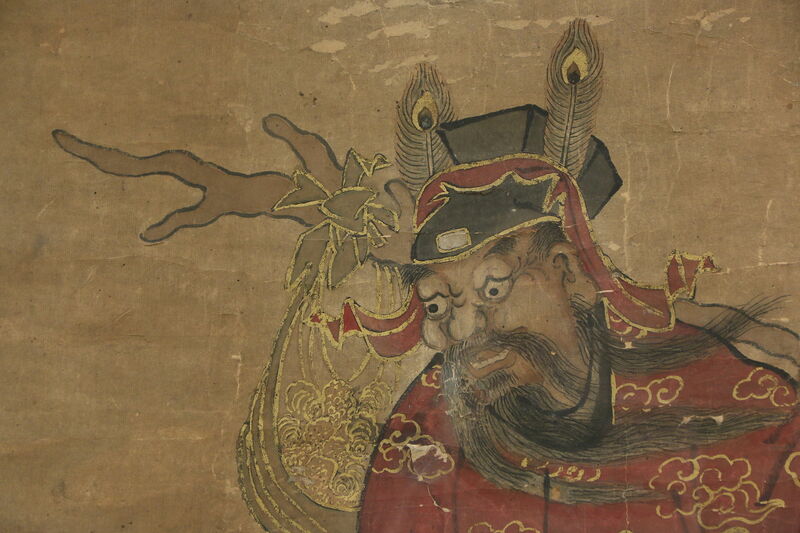 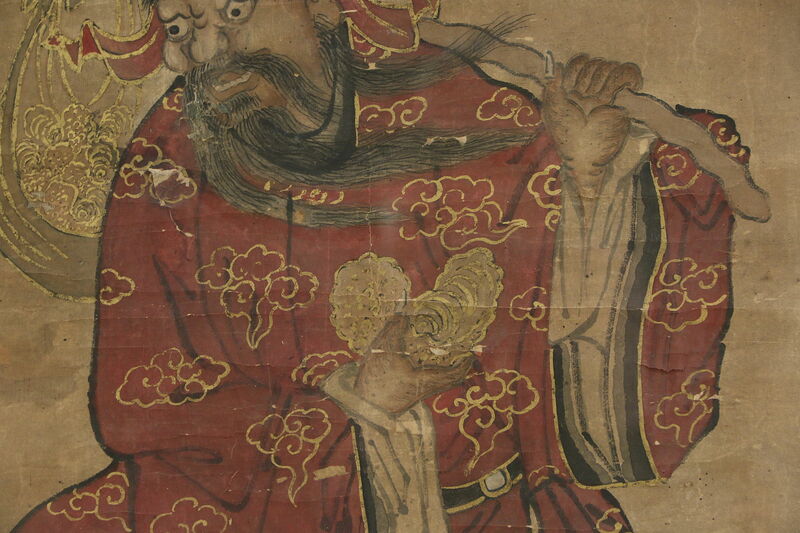 A traditional figure of a wanderer with his pack was painted in watercolors. 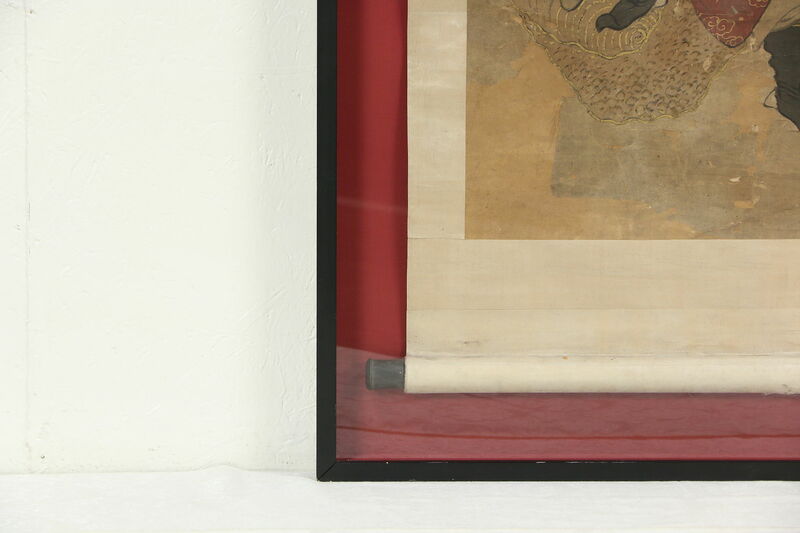 There is plexiglass in the shadowbox frame with some scratches, see photos. 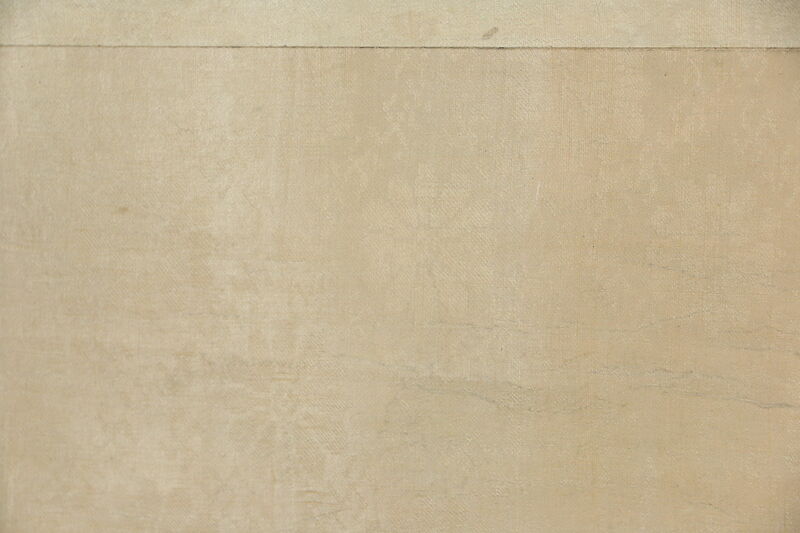 Overall size is 32 1/2" wide, 61" tall and 3" deep.